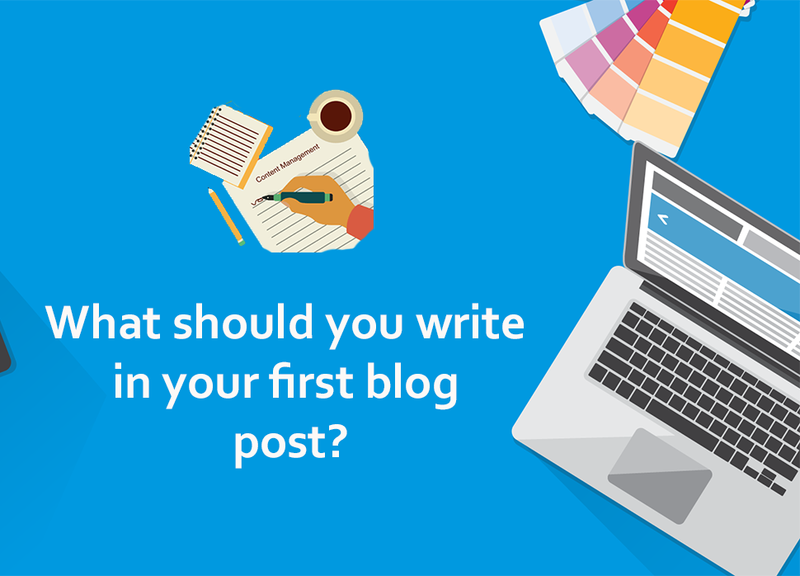 What should you write in your first blog post? So you decided to become a Blogger. This is what we all want ... .. rightly said I did not? And the truth is that such freedom and luxuries can get us through blogging. But to reach such a state, we have to make sure that whatever we are doing is doing right. So once you have set up your blog, you have to write the post. Your first blog post tells you what you are going to do on this blog. If you do anything wrong then you will fail. But if you correct everything you will get success. Not doing anything special to you is just a matter of note that after reading your first post, vEsitor wishes to re-vEsit your blog. Many people do not worry about this thing in the beginning. Even after installing WordPress, they just want to publish anything and let the world know that they have come online now. But with great regret it has to say that this does not happen at all and this thing does not work at all. A bitter truth is that if you fail to make some of your first readers to make regular vEsitors, you lose them forever. So, in this post we know how to write your first great blog post. You've just jumped into the online world and nobody knows about you. If I have to believe in you and bookmark your blog then I should know at least about you who you are. What are your experiences in your life? The more you tell about yourself, the more people will know about you and learn to believe in you and would like to hear from you. Using words only will not make a point. Make sure to post some of your pictures in that post. Do not hide behind the keyboard. If you put your own picture on your blog then it increases your authenticity and your readers can trust your blog. Tell your readers everything they need to know about yourself. The more information you give, the easier it will be for your readers to connect with you. This is a very important point. If people do not know why you are blogging then they do not make any sense to believe in you. When answering this question, the one thing that you must keep in mind is that of what level your audience is. Why would anyone come to your blog? What would anyone be looking for on your blog? What will happen to your reader on your blog? Tell your audience why you are doing what you are doing on your blog. He would appreciate this. As a result, he can connect with you. What topic are you going to start a blog? This is similar to the second question. When you answer the second question, it will be easy for you to answer this question. Tell your audience what can they expect from your blog in the future? Tell them what they will find at any time they come to your website. It would be great to tell in this post how long you will update your blog and when. That is, in this you can also add a schedule to publish your post. Do not create such a blog where you can write anything at any time. Keep in mind that your blog focuses on a particular topic, this will increase the level of your authority and your audience's level will also increase and you will see it as an expert in the field in which field you are on your blog. Enter information. Do not forget to write about your target audience in your first post. This will tell your audience that you will be able to solve the problems that came to find solutions on your website. Come with an emotional story and tell your audience that you are blogging for them. How can your audience connect with you? You have to tell your readers how they can stay in touch with you. What are your views about guest posting? If your audience has any questions about you then how can you ask? Tell your audience that if they need help, they can contact you and if you are not able to do this then you have to write in a similar post. Audience can also be annoyed if it does not believe in you. So do something that gives you great feedback. If you are free to answer questions of your users at any fixed time of the week, then you can tell at that time. Whatever you expect from your blog or what you want to accomplish through your blog, you must tell it in your first blog post. Where do you see your blog in the next 3 or 6 months? If you share your goals with your readers, then this will increase transparency between you and your readers, and the authority of your blog also increases. When you tell your audience about your goals, it also helps you to acheive your goals. Starting a blog is not always the main thing, you also need to know that you are starting right. If you add all the things in your first blog post that I mentioned in this post, then you are making a great start. Make sure that your audience knows that you are open minded, honest and are a passionate blogger. Tell them that you can help them.